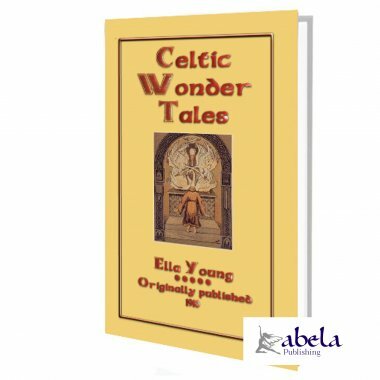 This is a wonderful, enchanting collection of 12 Celtic and magical tales from Ella Young. 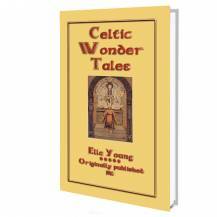 Children aged 7-12 years old will be enchanted by the magical, mysterious stories. 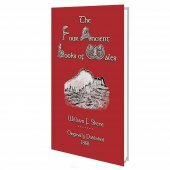 Tales of the Earth Shapers, Eric-Fine of Lugh, Inisfail, the classic Children of Lir, the Spear of Victory and more. So dont be surprised if when you think you have finished reciting a tale from this book that you feel a tug at your sleeve and have a request for another; and the child within you will be only too happy to read on. From childhood we listen to tales of ghosts, banshees, haunted castles and mischievous sprites. 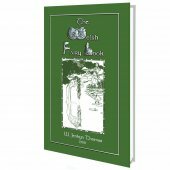 But it is not until you immerse yourself in Gaelic literature that you realise what a heritage awaits, for Celtic folklore overflows with vivid stories that fire the imagination. So take some time out and travel back to yesteryear, to a period before television and radio, a time when families would gather around a crackling and spitting hearth and granddad or grandma or uncle or auntie would delight and captivate the gathering with stories passed on to them from their parents and grandparents from time immemorial. 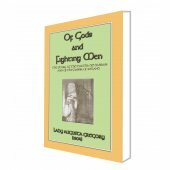 ONCE UPON A TIME, Nuada, wielder of the White Light, set up the Spear of Victory in the centre of Ireland. It was like a great fiery fountain. It was like a singing flame. It burned continually, and from it every fire in Ireland was kindled. The glow of it reached up to the mountain tops. The glow of it reached under the forest trees. The glow of it shot into the darkness and made a halo of light far beyond the three waves of Mananaun. The mis-shapen things of the darkness came to the edge of the halo. They sunned themselves in it They got strength from it. They began to build a habitation for themselves in the dark waters. They took shapes to themselves, and dark cunning wisdom. Balor the One-Eyed was their king. They were minded to get the Spear of Victory. "It is only the Fomor, the people from under the sea, who are screeching; they will tire of it!" They did not tire of it: they kept up the screeching. The De Danaans tired of it. Nuada took up the Spear of Victory. He whirled it. He threw it into the blackness that it might destroy the Fomor. It went through them like lightning through storm-clouds. It made a great destruction. Balor grasped it. He had the grip. The Spear stayed with him. It was like a fiery serpent twisting every way. He brought it into his own country. There was a lake in the middle of his own country full of black water. Whoever tasted that water would forget anything he knew. Balor put the fiery head of the Spear in that lake. It became a column of red-hot iron. He could not draw it out of the lake.